2001 Jeep Wrangler Sahara SOLD!!! 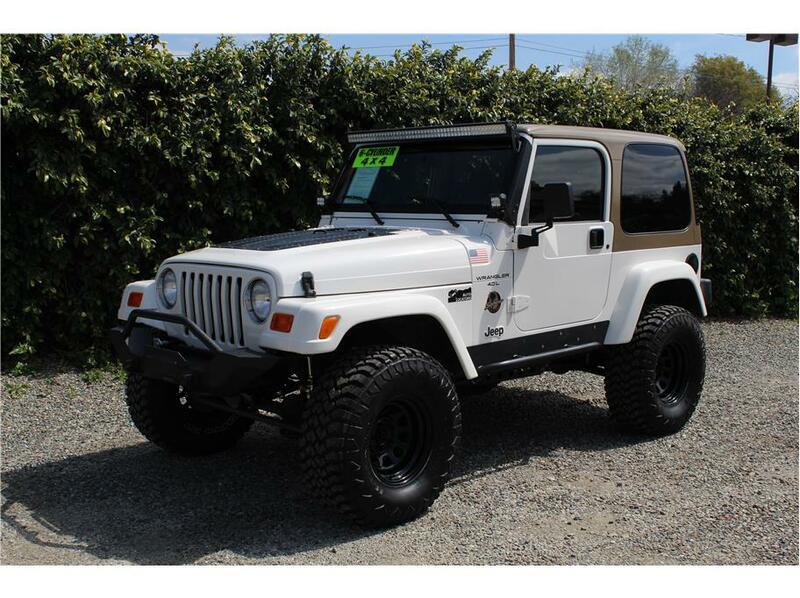 Home > > Vehicles > 70257 > 2001 Jeep Wrangler Sahara SOLD!!! This really clean 2001 Jeep Wrangler Sport Sahara has a I6 4.0l engine with an automatic transmission with only 70k miles! A Wrangler like this deserves awesome upgrades like a Rock Krawler X Factor long arm kit with Bilstein 5100 shocks, new 33×12.5×15 Dyna Pro M/T tires wrapped around Procomp 15 inch black steel wheels, rock sliders, rear Smittybilt bumper with integrated over sized tire carrier with a matching full size spare, Gearshade mesh shade top, Quadtech rubber floor mats, XRC Front bumper with Tow wiring , 51in LED bar above the windshield with two more pods on the hood and a Kenwood head unit with Bluetooth! Awesome factory features don’t fall short of cold A/C, 4×4, premium Sahara cloth interior and a hard top. Our Jeep just went through a complete 151 point inspection and received a fresh oil change service, brake service, ball joints, air filter, Rear main seal, oil pan gaskets, rear differential oil top off, brand new 33 inch Dynapro tires and a new windshield. A Jeep in this condition is hard to come by especially with this amount of miles. Don’t let it slip you by, come test drive it today!